With the Samsung Galaxy S5 being released and with it showing off Samsungs’ attempt at Touch ID with their fingerprint sensor, a lot of focus has turned to Apple’s implementation on the iPhone 5S and how it could be better. 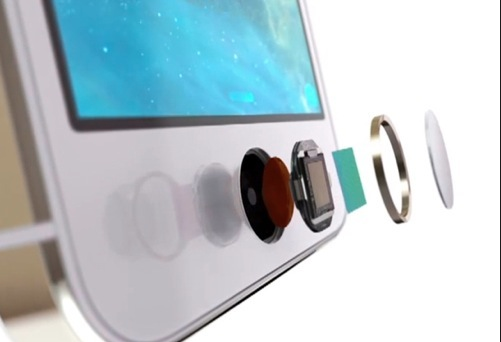 The Touch ID which Apple introduced with the iPhone 5S is somewhat limited in functionality, since it doesn’t allow third-party access for concerns over individuals privacy. However, it’s not just the functionality which has come under scruteny, with many users stating that the accuracy of the Touch ID reading your fingerprint fades over time. It seems that this isn’t just something users are making up either, as recent reports suggest Apple are currently busy working on a software update to iOS that will improve the fingerprint recognition and also the consistency of it, thus eliminating the fading over time issue users have been reporting. “A source familiar with Apple’s development plans said the company is well aware of early adopter issues that many iPhone 5s users are experiencing with Touch ID, the fingerprint recognition feature introduced last year after acquiring AuthenTec in 2012. When will the iOS fix be released? Whilst no exact timeframe has been given, it would seem reasonable that Apple would be working towards a timeframe which would see thee fix introduced as part of iOS 7.1, which is expected to be released next month. Whilst Apple are yet to comment specifically on the issue that users are experiencing, the fact that reports are surfacing that a software fix is being worked on is testament to acknowledge there is obviously some work that can be done with the Touch ID sensor. In the mean time, some users have found success in simply rescanning their fingerprint on the Touch ID and this relieves the issue temporarily. Whilst not a permanent fix, it is a relatively quick solution to perform, especially if you are experiencing the issue many seem to be. Drop us a comment below if you’re experiencing similar troubles.